These are, frankly, superb. SWAZI have a reputation for making great quality, practical outdoor and hunting clothing (these are made 100% in NZ by the way) and the Kagoule is their latest (and greatest?) outwear design. 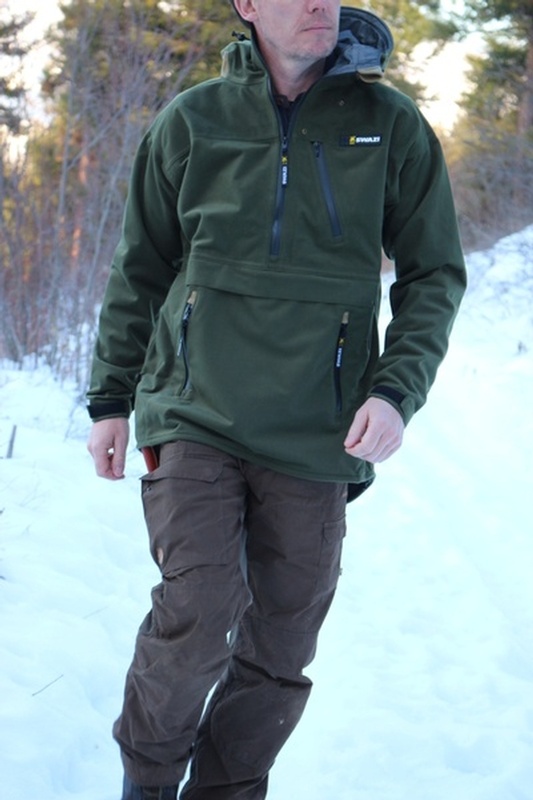 Based on the famous Tahr Anorak, it exceeds that great design, by offering better access to gear (includes x2 side pockets, x1 large 'Kangaroo' pocket and one chest pocket, yet still keeps the excellent maneuverability of the Tahr along with its deep protection and great hood. Using the excellent Aegis membrane its high performance waterproofing, wind resistance and is very breathable. Aegis is a tri laminate (3-layer) material that sandwiches the membrane between two tougher materials, giving you the durability of the tougher material and the advantage of the 'breathing' middle layer~. 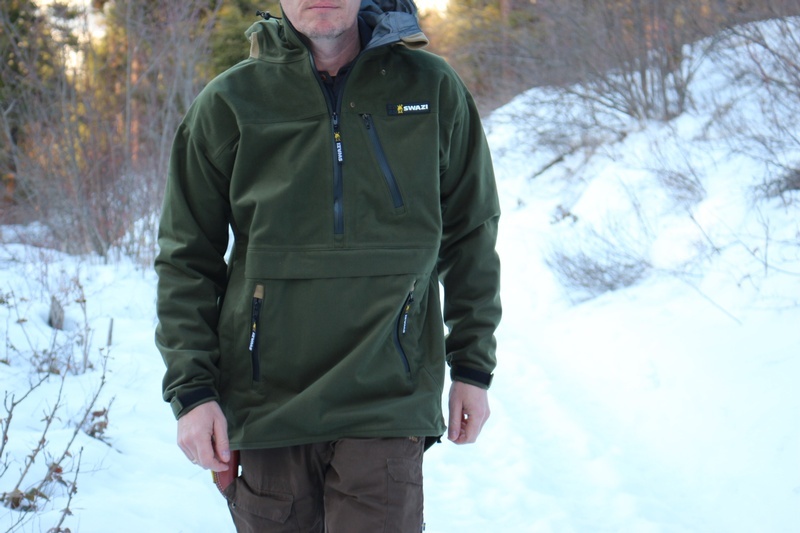 High end self seal zips, excellent peripheral hood, draw string, cuff adjusters. The Kagoule has no 'insulating' layers and is designed to be a shell and for you to layer up/down, to suit the climate. MADE IN NEW ZEALAND....SWAZI are one of the few companies still manufacturing in their country of origin! The Kagoule is made from a 3-layer AEGIS® knit fabric which is soft, light, very quiet and of course, very waterproof. Features amazing freedom of movement, chest pocket with rivetted radio antenna easement channeled through the rubber chest label, plus has an opening within the jacket to allow microphone access. These two features are excellent for radio contact with hunting companions or monitoring a hunting dog’s position. Top opening pocket with large handwarmer pocket on the sides, and of course, the legendary Swazi high periphery vision hood. 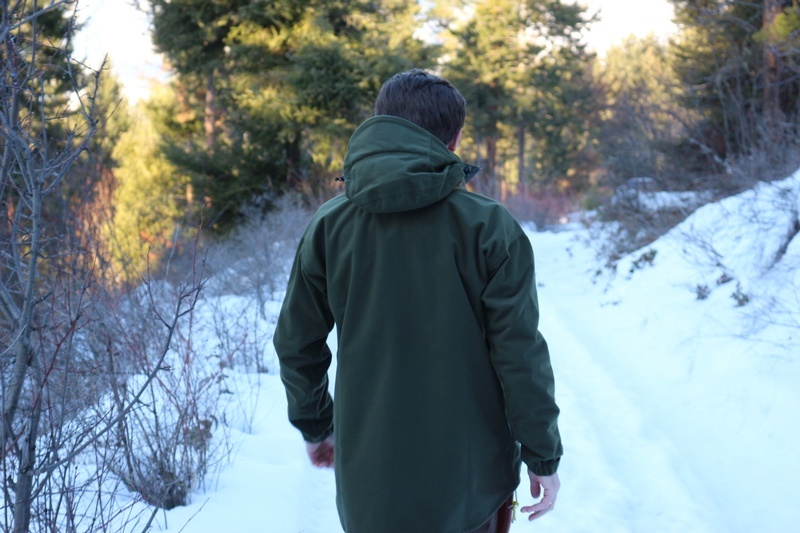 Purchase through PayPal by using the "Add To Cart" button above or use the form below to order the SWAZI Kagoule Olive . 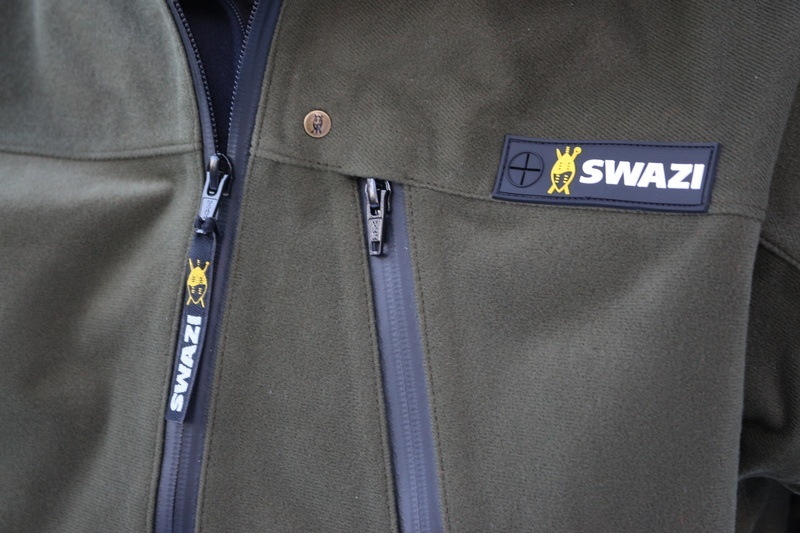 Feel free to contact us if you have any questions about the SWAZI Kagoule Olive .